A cat has been causing trouble in Kilburn, Scotland, wasting police time and getting his owner's front door smashed in. 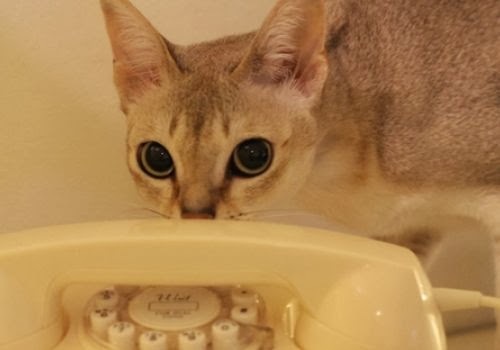 The fantastically named cat, Bruce Lee, is a young pedigree Singapura - one of the smallest breeds of cat in the world and renowned for their playful nature. He was left home alone on Thursday morning and whilst playing with one of his favourite toys - his owner's phone, somehow managed to dial 999, pause briefly and then hang up. Concerned police rushed to the scene, and after they didn't get an answer they smashed the door in only to find the phone on the floor and a scared Bruce hiding in a wardrobe.